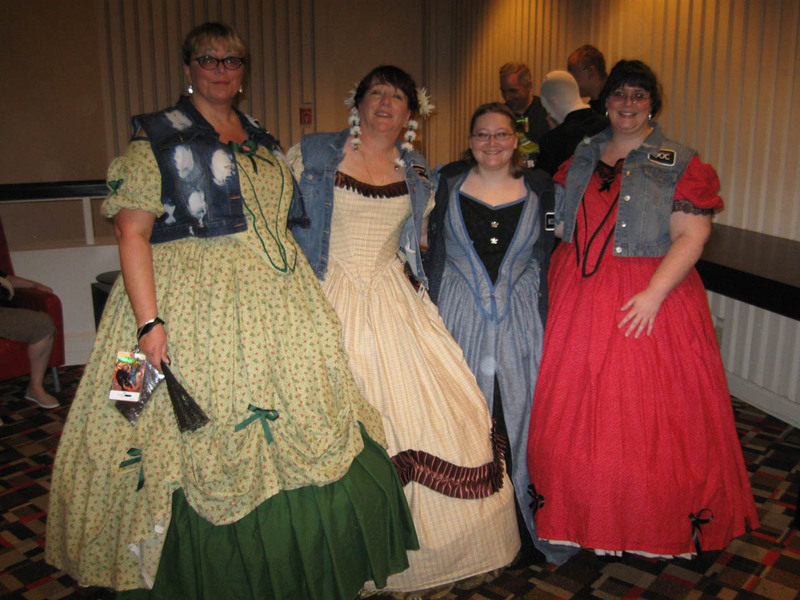 We had such a blast this year at DragonCon 2012. I will get to my panel experiences but first our costumes. S2881 was based on an extant gown held in the Historische Museum der Stadt Wien, Vienna, Austria. But really, I just used the silhouette and let the girls go crazy with ideas. We weren’t nearly as disruptive as we were afraid we would be, then again we all had ‘squishy’ hoops and we never tried to share the same elevator. This was our Saturday evening costume and we all attended the “Mighty Fine Shindig” where I tripped the light fantastic or at least tripped over my own feet. 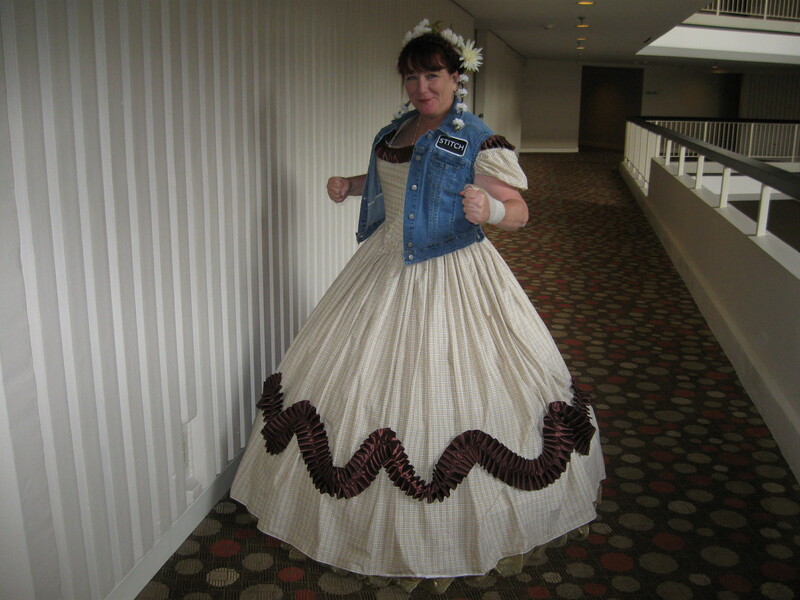 Note to self, when wearing a hoopskirt, make sure to have attractive underthings just in case. I don’t think cut-off sweat shorts really had that Antebellum vibe. The young man who had been swinging me around stayed to help me up, even though it took a few minutes as I was laughing so hard I couldn’t breathe. And the most gracious moment of the weekend… Another young man in fine SteamPunk costuming said to me “The best thing is to get right back on the horse, would you like to dance?” I hope I thanked him enough, that was so kind, unfortunately I was truly out of it from laughing. A Mighty Fine Shindig indeed. We are still at D*Con and I don’t have pictures yet, but here is a hint.